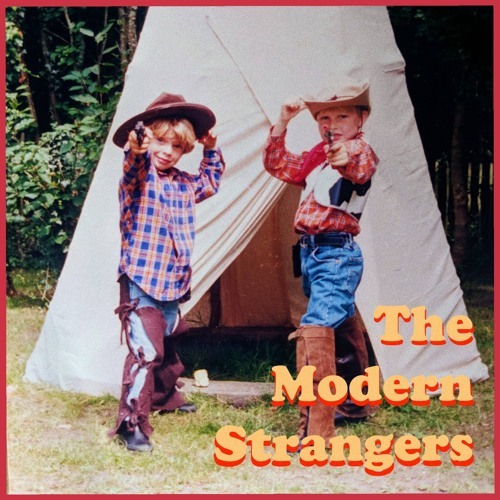 British 5 piece Indie-Disco band The Modern Strangers have just released their brand new single, Nothing On You, via their very own Hoolay Records. I'm really loving the infectious groove of this track guys! Stream it below! Fronted by brothers Max & Archie Davenport, they first sprang to life in the summer of 2016 off the back of debut single Vanilla, earning them early support from BBC Introducing in Kent and BBC Radio 1. They spent 2017 releasing seminal singles Hot Rain, Margarita and Coco Hello in the midst of a busy summer of shows, winning new fans eager to hear more from their incendiary live set. They've been featured on Made in Chelsea, landed numerous Spotify playlists in addition to charting in the UK Viral 50 and keep going strength to strength Live-wise, ranging from their own headline shows to gracing the stages of major UK festivals such as Big Weekend 2017. Already off to a flying start: 2018 has so far seen them announcing their debut EP (Meltdown Mechanics), signing a publishing deal with BMG, wowing the crowds at the Park Hotel headlined NME awards night and off on their first tour. Already booked for slots at The Great Escape, Liverpool's Sound City and Live at Leeds, the band are filling out their May tour, taking in headline shows in Glasgow, Coventry, Brighton and Canterbury.